The main difference between C and C++ is that C supports Structured Programming while C++ is a superset of C which supports Structure Programming as well as Object Oriented Programming (OOP). C is a general-purpose programming language, and it is the foundation language for most modern programming languages. On the other hand, C++ is an enhancement of the C language. Any C program is a valid C++ program. We can also consider C++ as C with classes. Therefore, we can implement OOP concepts in C++. C is a high level, general purpose programming language developed by Dennis Ritchie at Bell Labs. 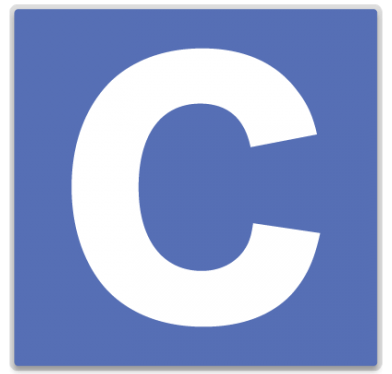 C is a structured programming language. Therefore, it has features such as loops (for, while, do while), functions, decisions (if/else), etc. C is the basis for other modern languages such as Python, Java, Perl, and Ruby. C programs execute faster as they use a compiler to convert the source code to equivalent machine code. Also, it provides a rich set of library. Therefore, the programmer can use the functions available in that library to write efficient programs. Operating systems, network drivers, compilers, databases, embedded systems, language interpreters, and, text editors are some common applications we can develop using C language. C++ is a programming language developed by Bjarne Stroustrup at Bell Labs. It has additional features than C language. Also, it supports structured programming as well as Object Oriented Programming. Therefore, we can implement OOP concepts such as encapsulation, polymorphism, inheritance, etc. using C++. It also provides a library called Standard Template Library (STL). Therefore, the programmer can use the functions available in that library in his program. C++ is a compiler based language. The compiler converts the entire source code into machine code. Therefore, these programs are executed much faster. This property in C++ allows developing real-time systems that respond quickly to different inputs. It is also possible to use C++ for image processing, computer vision, game development, operating system and device driver development. C is a general-purpose programming language that allows structured programming while C++ is a general-purpose programming language that has imperative, object-oriented and generic programming features, while also providing facilities for low-level memory manipulation. Hence, this is the main difference between C and C++. Dennis Ritchie is the developer of C while Bjarne Stroustrup is the developer of C++. Furthermore, a major difference between C and C++ is that C mainly supports structured programming while C++ mainly supports structured and object-oriented programming. There is no support for OOP in C; however, the programmer can implement encapsulation, inheritance, polymorphism, etc. in C++. While C uses scanf and printf functions for input and output operations, C++ uses cin and cout to perform input and output operations. Thus, this is another difference between C and C++. Moreover, data security is another difference between C and C++. Data is not very secure in C, but data is more secure in C++ as it has access modifiers from OOP to secure data. In C, the programmer should declare variables at the beginning of the program. But, in C++, the programmer can declare variables anywhere in the program. One other difference between C and C++ is that there is no function and operator overloading concept in C. However, it is possible to implement function and operator overloading in C++ as it supports OOP. Also, there is no exception handling mechanism in C. However, there is exception handling available in C++ (try, catch, finally blocks). C uses calloc, malloc functions to allocate memory and free function to release the memory. C++ uses new operator to allocate memory and delete operator to free the memory. So, this is another difference between C and C++. Default header file of C is stdio.h file while Default header file of C++ is iostream.h. File extension of C program is .c while file extension of C++ program is .cpp. C++ has virtual function, friend function, namespace and inline function, but C doesn’t have these features. Hence, this is also an important difference between C and C++. In brief, C++ is a superset of C. Therefore, C++ can execute most of C code whereas C cannot execute C++ code. 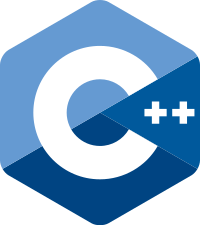 The difference between C and C++ is that C supports Structured Programming while C++ is a superset of C which supports Structure Programming as well as Object Oriented Programming (OOP). 1. “Learn C Programming Language Tutorial – Javatpoint.” Www.javatpoint.com, Available here. 2. “Features of C Language – Javatpoint.” Www.javatpoint.com, Available here. 3. “Learn C Tutorial – Javatpoint.” Www.javatpoint.com, Available here. 4. “C Features – Javatpoint.” Www.javatpoint.com, Available here.